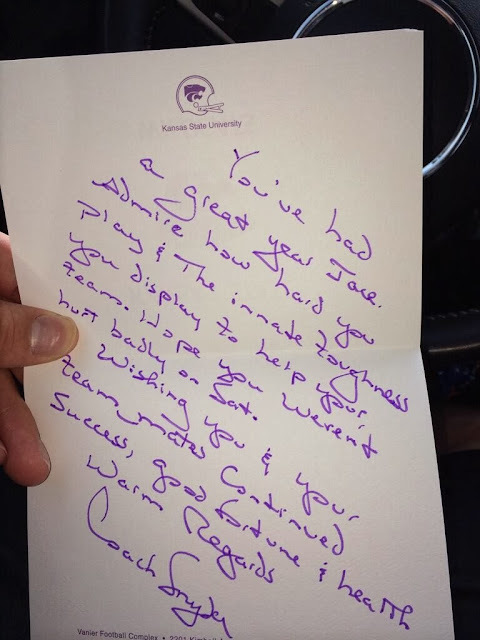 K-State Coach Bill Snyder wrote a note to an injured player at Texas Tech. As the NBC story says, "Consider this something that wouldn’t have had the same effect over E-mail or text message." Apparently this isn't Coach Snyder's first such note. You can read the NBC Story about it here.